It is not a surprise when not just kids but even adults get attracted towards colours..❤ I, personally, like to add a dash of colour to my look whenever I dress up in something dull! And what can be a better option than to use a brightly coloured nail paint for the purpose? 1. Not much expensive, Easily available and travel friendly. Buy it from here! 2. Good quality of bristles provided. 3. Great shade to brighten up a dull look! 4. 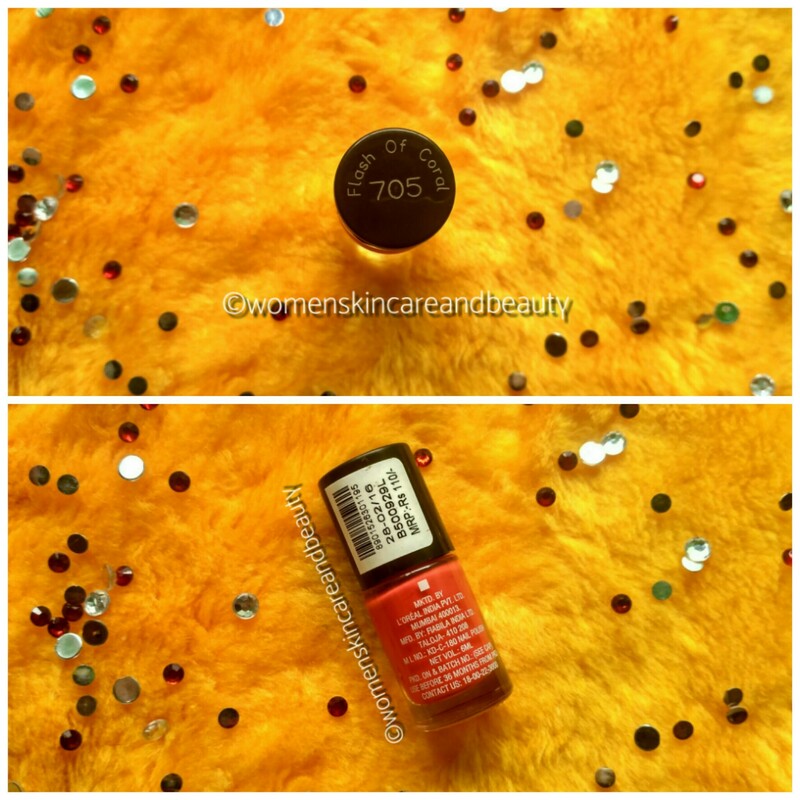 A single coat gives the exact colour and multiple swipes aren’t required! 1. Smells strongly of alcohol, though the smell vanishes after application. 2. The glossy finish dulls out within 2-3 days! 3. The paint starts to chip off from the bottom of the nails within 3 days. Loved the way you have presented it and the shade too! 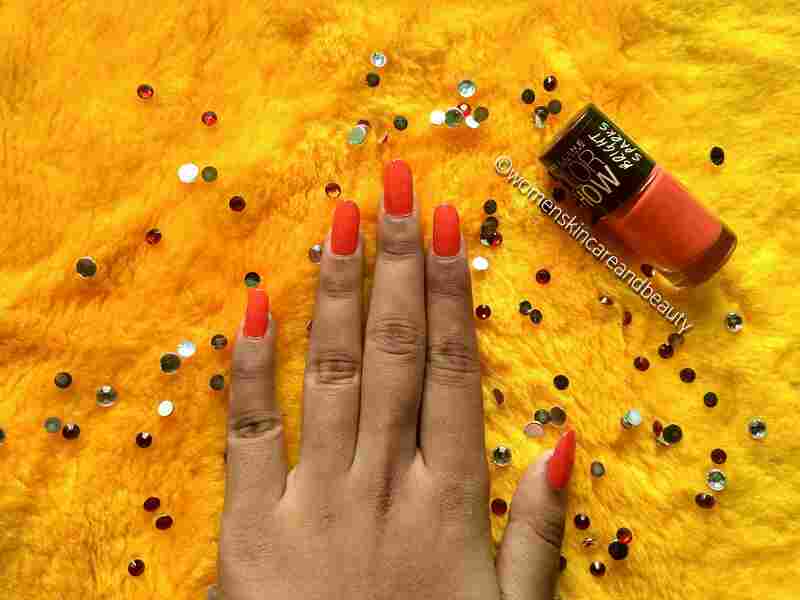 I love the coral shade and yes the brand is one of the best. 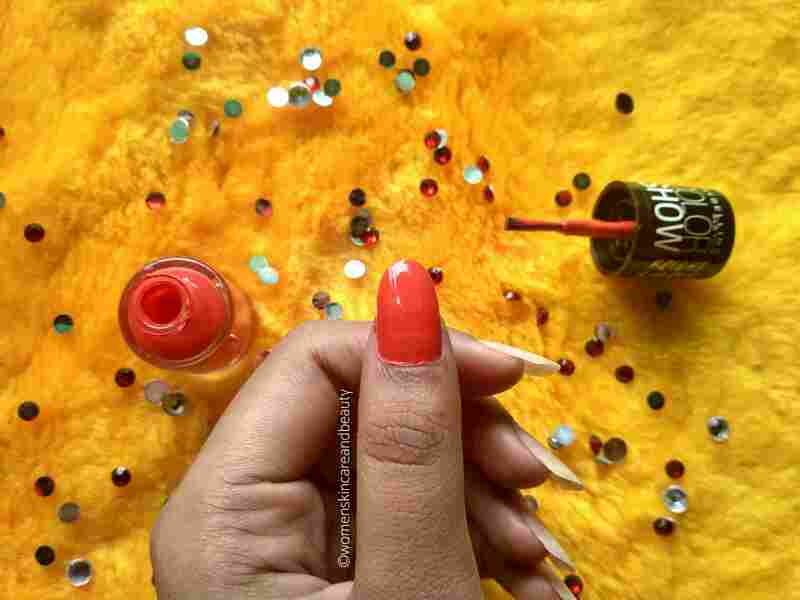 Love you detailed review about the colour stay on nails. It seems just the right shade as Autumn sets in – good recommendation. It would be a good color for the weekend – 2 days, after which anyways we would remove it for a pale color for work. I too have experienced the quick wearing off problem in Maybelline’s nail paints. Though there color range is one to die for! Such beautiful and vivid coral shade. 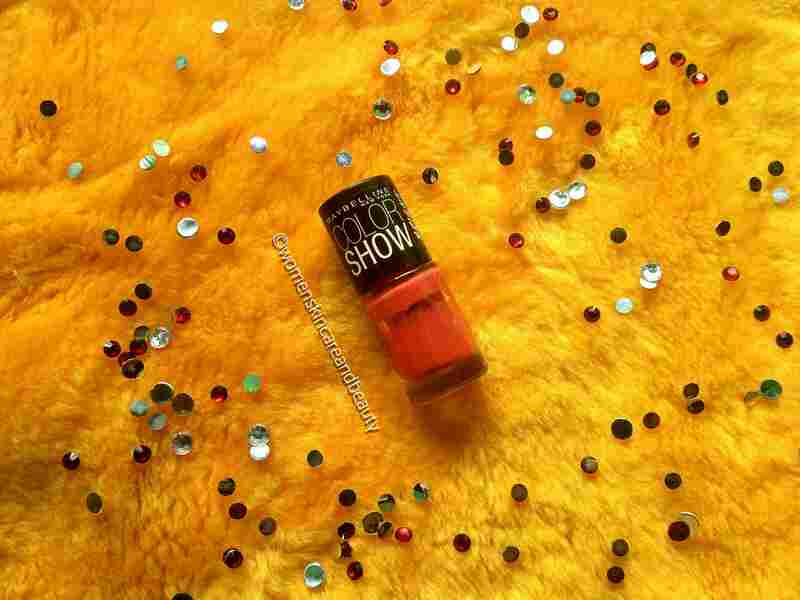 I love maybelline color show nail paint when it comes to choosing nail polishes. Maybelline has a fantastic range of nail colours. But sadly, they don’t stay long. I have switched to other brands now. Even Elle 18 works better at half the price! This shade is so bright. For sure it can light up a dull day. Not happy to know that the shade becomes dull in 3-4 days. I love corals! there is something just unique about that colour! Nicely reviewed! Detailed post with Lovely Pics , Shade is also good but sad that it fades after 2 days . Yes.. the fading is definitely a problem! It’s such a cool bright orangy shade! I would like to try! This nail shade looks perfect for many of my outfits. Maybelline brand’s products are worth to buy.